It was the summer of 2012. The Flyers were coming off of a playoff run in which they beat the Pittsburgh Penguins in one of the most entertaining series in recent memory before flaming out against the New Jersey Devils in the second round. 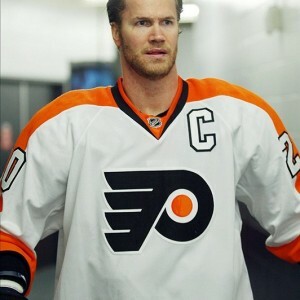 Earlier in the season, Chris Pronger had suffered a devastating injury as a result of a high stick, and did not return for the remainder of the season. Flyers fans and management alike were hopeful that Pronger’s career could continue with rest, but the reports of his condition were not positive. Kimmo Timonen, while still a very effective player, was 36 years old and in the past season, had his lowest average TOI per game in eleven seasons (21:14). Sensing that the Flyers could still be a contending team if they could just replace Pronger’s production. That would obviously be no easy task. Pronger was at that point a top ten defenseman in the league, and a surefire first ballot Hall of Famer. However, it just so happened that another elite defenseman was about to be a restricted free agent, and could not be taken to arbitration as his current team had already taken him there once. Paul Holmgren, always willing to make a gutsy move, signed Shea Weber to the richest offer sheet in NHL history. 14 years, $110 million with $80 million of that coming within the first six years of the contract. 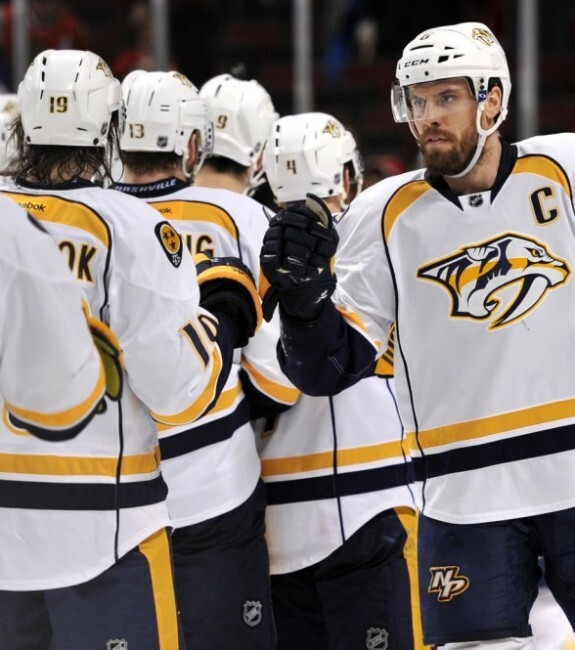 Pundits called it a poison pill that the small Nashville franchise could not afford to pay. Flyers fans grinned at the possibility of adding an elite defenseman for the next ten years to carry them to that elusive Stanley Cup. We all know how the story goes from here. Nashville, who had recently lost their other stud defenseman Ryan Suter to the Wild in unrestricted free agency, matched the offer sheet. Weber remained a Predator, and the Flyers kept their four first round picks. Neither team has won a playoff series since. Yes, Philadelphia’s biggest glaring weakness has been the lack of a stud #1 defenseman since Pronger’s injury. However, the Flyers dodged a massive bullet when the Predators matched the Shea Weber offer sheet. What Happened to the Picks? Had Nashville not matched the offer sheet, the Flyers would have owed the Predators four first round picks in the 2013, 2014, 2015, and 2016 drafts. I’ll preface this by saying, yes, if the Flyers had Weber on their roster, they certainly would have finished higher in the standings than they did these years (more on that later). But they didn’t, so these picks represent the opportunity cost of Shea Weber in a Flyers jersey. Despite the fact that none of these guys has played an NHL game yet, it has already become clear that the Flyers got lucky by being able to keep them as their blueline of the future. All three enjoyed tremendous draft years after not being terribly highly regarded in prior years before being snatched up by the Flyers. 2013: Samuel Morin. Morin has been the least impressive of the three first round picks thus far, but that’s more of a compliment to the other two than a criticism of his game. In his first pro season, he has continued to refine his defensive game and get used to defending top skilled players at the highest level. His skills are obvious. He’s a massive player that skates very well, has a booming slapshot, and is physical in his own end. It will never be physical skills that hold Morin back. The question will be whether his decision making with the puck and learning to use his tools develops to the level of an elite defenseman. 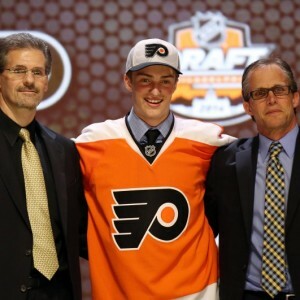 2014: Travis Sanheim. After leading the WHL in points by a defenseman in 2014-15 with 65, Sanheim has picked up right where he left off by scoring the same amount in 17 fewer games this year. His 1.3 points per game is the best among all defensemen in the CHL. He’s an incredible skater who reads the game at a high level and move the puck like no other defenseman in the CHL. 2015: Ivan Provorov. In his inaugural WHL season last year, Provorov’s 61 points were 20 more than the next highest rookie defenseman, and 4th overall in the WHL. This season, his 72 points lead all CHL defensemen, and his 1.2 points per game is second only to, yes, Travis Sanheim. Provorov isn’t a flashy player, but he just doesn’t make mistakes with the puck. Bob McKenzie recently said he expects Provorov in the NHL next year, as he’s just too good for the WHL and can’t go to the AHL. @TSNBobMcKenzie How about Ivan Provorov sticking in Philly? Seeing him regularly here in Moose Jaw, he seems too good for the WHL already. 2016: ? The Flyers would still owe Nashville their 2016 first round pick. Take these three players, add Shayne Gostisbehere, Robert Hagg, and Philippe Myers, and the Flyers have an unfair blueline for the future. If the Flyers got Weber, they also would not have been in a position to sell at the trade deadline last year and make the requisite moves to select Travis Konecny. But What if Nashville Didn’t Match the Shea Weber Offer Sheet? Well, then the Flyers would have had a stud defenseman to anchor their blueline for the past four years. Weber is still an elite defenseman, and has at least 3-4 more years of elite play in him. Would the acquisition of Weber been able to put the Flyers over the top the past four seasons? 2012-13: Philadelphia finished six points out of the playoffs in that season. With Weber, they surely make the playoffs, but probably don’t go very far. They maybe win a round or two, but I can’t see them getting by the Penguins, Bruins (eventual Eastern Conference winner), or Blackhawks (eventual Cup winner). 2013-14: The Flyers were bounced by the Rangers in seven games in a very close first round matchup. The Rangers went on to represent the Eastern Conference in the Finals against the Kings, so with Weber, the Flyers very well might have made the Stanley Cup. But I can’t imagine they take down the Kings that year. Drew Doughty was every bit as good as Weber that year, and the rest of the Kings team was better than the Flyers. 2014-15: Philadelphia finished 14 points out of the playoffs last season. With Weber, they might have squeaked in as a wild card, but I can’t imagine they win a series. 2015-16: If the Flyers had Weber, they would likely be considered a top contender in the East this year. Four more wins, and they would have 88 points, which would put them second behind the Capitals in the East. But would they be able to get past the powerhouse Capitals, and whatever worthy opponent comes from the Western Conference? It’s a tough decision between a few cracks at the Stanley Cup now followed by a desolate blueline that Flyers fan know all too well in a few years, or give up the chance now for a shot at the most dominant defensive corps in the league in a few years (and long term)? I’ll take the latter, and hope that Steve Mason, Claude Giroux, and Jakub Voracek are still playing at a high enough level to complement the young, budding defense.